This column normally takes an optimistic view, firstly because stock markets rise over time and partly because in the worst-case scenario we are all up the creek anyway. Optimism should not be entirely blind, though. Investors should be realistic. This week was the 30th anniversary of the stock market crash of 1987, when the FTSE 100 index fell 23% in just two days. That was back in the time when computerisation was in its infancy. If we get a crash now, it will be even more pronounced because computers will sell in a panic as share prices fall. I don’t take too much notice of anniversaries, preferring to note that, despite two bad slumps since, share indices in the UK and US are at record highs and that Japan is at a 21-year best. However, a series of profit warnings this week was a bit unnerving. I made the mistake last week of reacting hastily on Twitter to a 7% fall in the share price of engineering firm GKN (GKN), which I thought was overdone. The shares were down 10% by the close that day. A closer look at the update revealed that there were potential long-term problems. In fact, GKN got off lightly compared with construction company Interserve (IRV) and business solutions group IWG (IWG), where shares fell more than 30% after profit warnings this week. Interserve, the support services and construction group, was commendable in its frankness in laying out the problems clearly, not least the fact that operating profit in the second half would be half the level of the same period last year. However, challenging markets, rising costs and shrinking margins are clearly here for at least the medium term. Office space provider IWG has had its ups and downs in the past under its former name of Regus and it will continue to be vulnerable to any economic downturn. An improvement in the third quarter was weaker than expected but the real killer was a 1.9% decline on a like-for-like basis, similar to the first half. IWG is growing only by opening new premises, which is far more expensive and less profitable than filling existing ones. Interserve’s warning that it is seeing labour costs rise and margins squeezed will apply to small companies across the board. This is going to be a continuing problem. 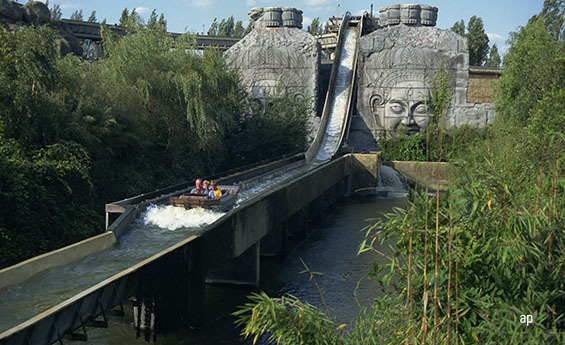 Earlier we had been hit with another blow from theme park operator Merlin Entertainments (MERL), which had been clawing its way back from the disastrous accident at Alton Towers. Legoland is doing pretty well but other attractions have been set back by terrorism fears and poor weather. Since the latest update included the key months of July and August, a bit of good news would not have gone amiss. Meanwhile a lot of capital is being soaked up funding new openings. Management remains upbeat but the shares slumped from 450p to 378p. There were other, generally less drastic, warnings this week. Unilever (ULVR), for example, fell short of expectations. The equities market has coped remarkably well with a series of shocks such as the Brexit poll, Donald Trump’s US presidential victory and Theresa May’s general election disaster. We have continued to shrug off any bad news and feed on any positive news. As long as that lasts we are in a bull market. However, it would be foolish to ignore completely the very patchy nature of economic news here and abroad. In those circumstances I believe the risks inherent in buying stocks after a sharp fall are magnified. Catching falling knives is a dangerous game at the best of times. I will stick to solid investments for the time being.